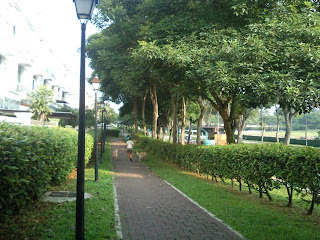 Our domestic helpers in Singapore really deserves another look and our praises. 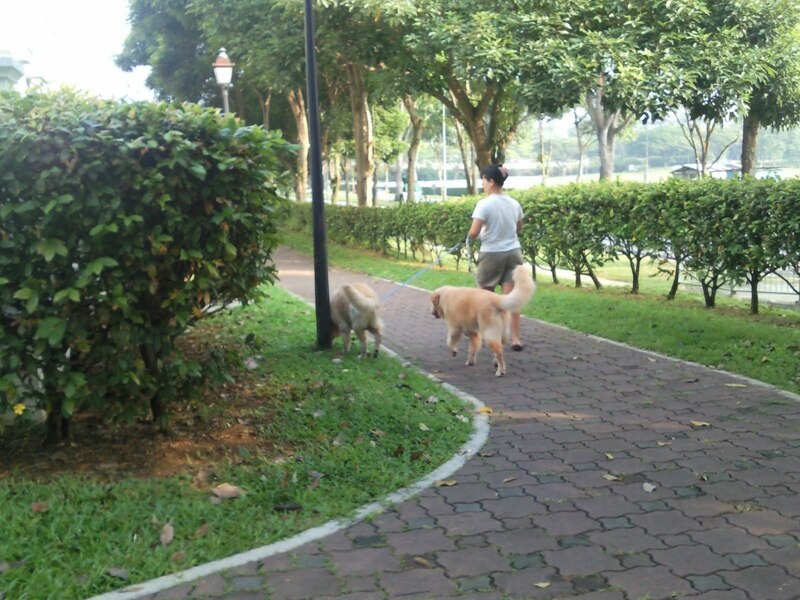 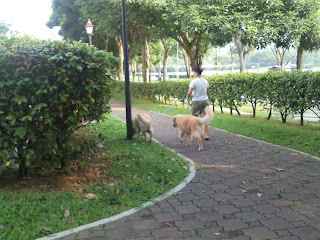 Now they can also handle 2 big dogs... this maid i bump into @ WestWood (near Gek Poh). 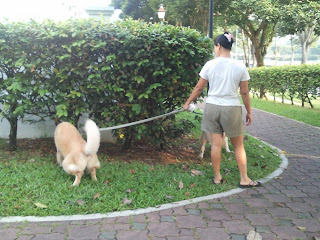 When will our young boyz be like them, handling 2 things at one go?